Back in the fall, when my hip recovery seemed to be going OK, I got the idea that I wanted to train for a distance race over the winter. It would be my true test to see if my hip really was in a better place, and I could start to think about training for distance races again on a somewhat regular basis. 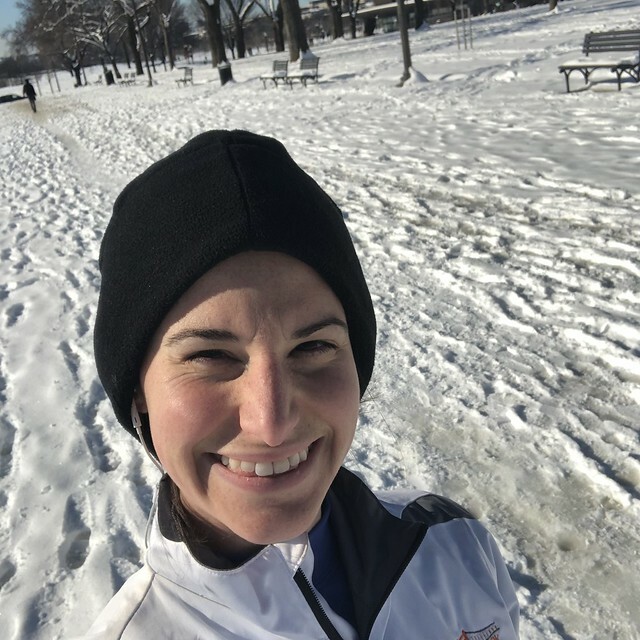 I had my sights set on the Marine Corps 17.75K (an 11.03 mile race) in March because if I could train for it and finish it, I was guaranteed an entry in the 2019 Marine Corps Marathon. The distance of the race to me was important. It was only two miles shy of a half marathon, and I figured if I could train for that and stay healthy, then maybe a full marathon would be an option again for me in the future. I wasn't (and am still not) sure I will actually run MCM this fall, but I wanted to at least put myself in a place where I'd be able to make the choice to do it or not. I started laying a foundational base for real training as early as November and December. I was increasing the number of days I ran, and gradually building "long" runs back in to my weeks. During the government shutdown in January, I had the luxury of endless time to train well. 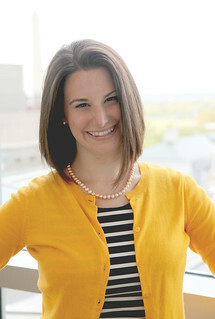 I was running three times per week, and cross training at least two to three times per week. The time off from work let me establish a really strong base. I think that's part of the reason I was able to stay healthy. When I went back to work at the end of January/beginning of February, I made some slight adjustments to my training. I continued to run about three times per week, but cross-training dropped to once or twice depending on my schedule. Still, I felt like my training was going well. As my long runs increased in distance, they felt challenging, but never really impossible. I struggled a bit mentally with motivation toward the end of training, but hit all my long run distances, and cut back nicely during my taper week. I was more nervous in the days leading up to this race than I had been for any race in a long time. 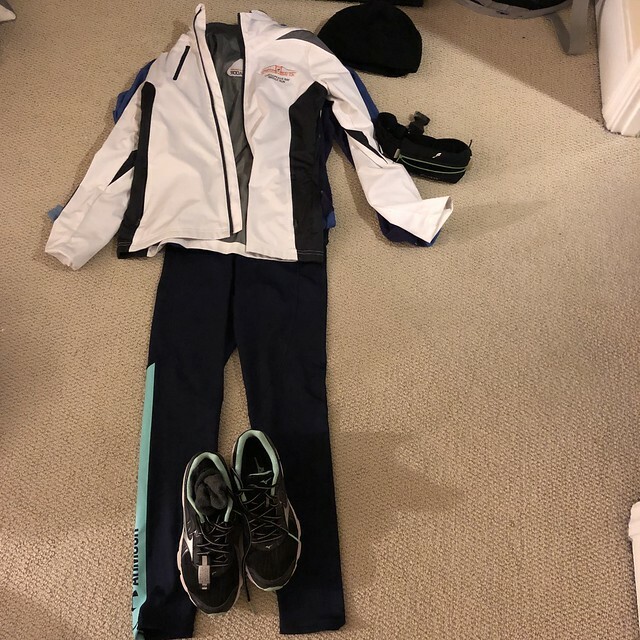 Even after following my typical pre-race pasta dinner and bedtime routine, on Friday night, I struggled to fall asleep because of the anxious energy. When my alarm went off Saturday morning at 4:20 a.m. I had no trouble getting up. I quickly threw on my running clothes, drank some water, and headed to my car. First Flat Jess in I don't know how long! It was cold on race morning. The windchill was something like 20 degrees when I left my house. I brought a big fleece blanket with me to wrap around myself until the start, but luckily I didn't need to use it because I was able to wait inside a heated church until about 7 minutes before the starting gun went off. I was incredibly grateful the church let us wait inside. I'm pretty sure my legs wouldn't have functioned if I had to stand around outside for an hour plus waiting for the race to start. Once the gun went off, some of my nerves started to fade, and I tried to settle in to a comfortable pace. It was tough to do though because the first 3.5 miles or so of the race were on some narrow trails through the woods. Even though the website had said some of the course was on gravel, I had been picturing crushed gravel. What we ended up running on to me seemed more like straight up rocky trails. 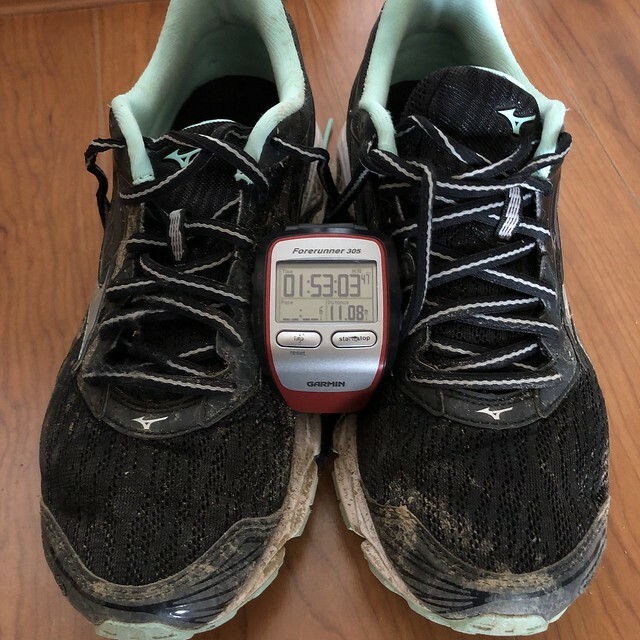 They were super muddy because of all the rain in the days leading up to the race, so running in those first 3.5 miles was a little bit precarious. I was being careful especially on the downhills because I didn't want to wipe out on all the mud. Somewhere around mile 3, part of the trail was kind of flooded across. Several runners diverted off the trail around some trees in the woods to get around the muck. I started to do that, but it was a pretty slow line of people, so eventually I turned around and just plunged through the wet, muddy mess like some others were doing. My left foot got pretty soaked, but my right foot came out sort of OK. The mud on my shoes is what remained at the end of the race. They look cleaner than they were in this picture. I was so grateful when we got off the trails and back on roads. I looked down at my Garmin and realized that I needed to let go of any goals I had of having a fast time. At mile 3, my time was something like 32:33. It was time to just try to enjoy the remainder of the race and finish as strong as I could. I felt really good until just about the half way point. There had been a monster hill from mile 4 to 5 that really took it out of me. I also had not packed any sort of nutrition with me for the race, which was a fail, because I could have really used some at that point. I took my first walk break somewhere around the 5.5 mile mark just to give my legs a break. Then I settled in to my typical run 1 mile, walk 1 minute pattern. Since the race was completely through the woods, there wasn't much race support, and I found that around mile 7, I needed a bit of motivation. I went to pop my headphones in figuring it was safe to do while on the regular roads. Something must have gotten bumped on my phone in my waistband though because there wasn't any music playing, and I didn't feel like stopping to try to figure out what was going on. I just kept going without the music and started singing songs from Hamilton in my head. We turned back on to the trails with about 2.5 miles left in the race. I was not excited to be back on them, except that my other hip had started bugging me about a mile prior to that turn off, and running on the trail, which had a bit more give, seemed to help that situation. There were some incredibly steep hills during those last couple of miles, and I walked them all. At that point, I knew I was going to finish, I wasn't worried about my time, and I didn't have any desire to kill myself on those kind of rocky hills. The mantra I kept repeating to myself in the last mile and half of the race was, "Pace doesn't matter, just keep moving forward." Somewhere in the last mile, things flattened out a little bit (or maybe the hills just didn't seem so big), and I was slowly but surely able to pass a few people. I wasn't going fast, but I'd see a person a bit in front of me and kind of zero in on them and reel them in. We crested a little hill right at the end of the park before we made the final turn to the finish line. The last .2 or so miles was a flat stretch of asphalt. I didn't have much left in the tank, so my finishing kick wasn't that strong, but I got myself across the finish line. My official time was 1:52:58. I got my medal from a Marine, grabbed a water and a Gatorade and hustled out of the cold to a bus that would take me back to my car. I realized once I got on the bus, that I hadn't even bothered to stretch. I was so cold and just wanted to get in to my car and home to a warm shower, but I'm definitely regretting the fact that I didn't stretch today. Other than that lingering soreness, I feel pretty OK. My bad hip didn't bother me at all turning the race. 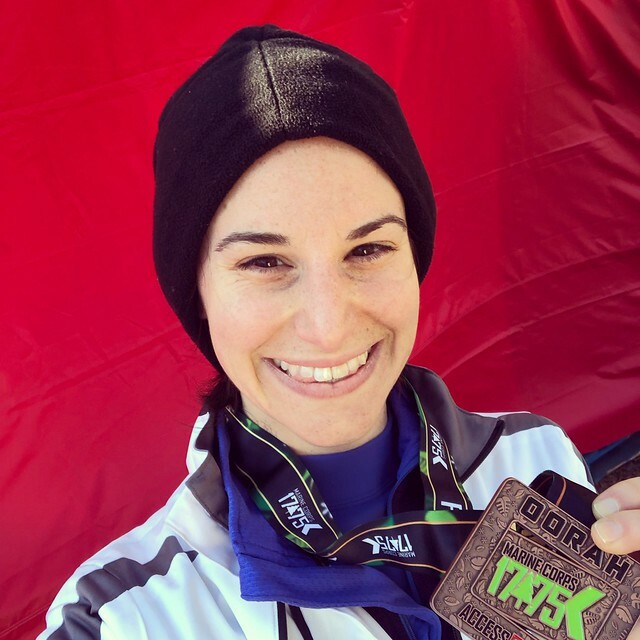 My other hip nagged at me for a little, and I had some tightness in the my left calf during the race, but nothing that I felt was overly concerning. I'm not sure what my next plans are running-wise. For now, I'm just going to enjoy the fact that I finished a distance event without a significant injury.